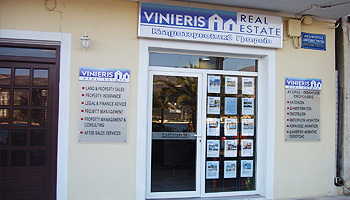 Vinieris Real Estate, was created and founded in 2002, and is the largest, most respected and leading estate agency in Kefalonia. The driving force behind Vinieris Real Estate, are brothers Adonis & George Vinieris, both born locally, who’s aim has always been to offer to people from any country the chance to own the home of their dreams on the Island of Kefalonia. Today, their vast knowledge of the island, its people, and all aspects of the real estate and construction industry, have helped Vinieris Real Estate to become internationally recognized for their impeccable customer service & highly satisfied clientele. Adonis & George have made and continue to make lots of genuinely real friends along the way, and believe that they have achieved what they ultimately set out to do back in 2002 – making people’s dreams come true. From a small family run business, Adonis & George Vinieris have steered the company into the largest Real Estate & Development group on the Island of Kefalonia, yet still keeping their trusted family values as a key element in the operation of their business. 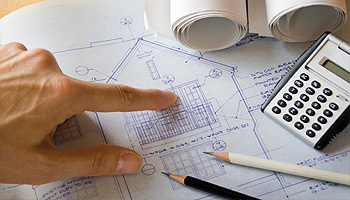 The success of Vinieris Real Estate & Developments is not only due to their personal philosophy, but also due to a unique blend of talented employees, inspiration, and carefully selected business associates, all working in harmony to provide a service second to none. Adonis & George, together with their in-house professional team, and multi-lingual administration staff, have over 30 years experience in the Real Estate and Construction sectors. The professional, trusted and reliable team will help you to realize your dream, providing you with guidance, support and helpful advice from your very first contact, all the way through to visiting the offices, viewing properties and finally choosing the right property for you, guiding you through the whole process, giving you peace of mind all the way to completion. This experience, gained over a substantial period of time, enables Vinieris Real Estate to fully understand every aspect of their business, and to provide an unsurpassed level of service, concentrating throughout on a customer-led focus. Together with their hand-selected team of Architects, Engineers, Notaries and Lawyers, all elite professionals in their particular field, and all whom have worked very closely with Adonis & George Vinieris for many years, they are able to interpret and facilitate every aspect of buying and selling property in Kefalonia. Be assured that Vinieris Real Estate will always continue to be an open minded, evolving organization putting the needs of their customers and home owners first. Excellent working knowledge of the market – An important key to the company's success is our experience and contacts gained over a long period of time, helping to maintain a high level of reliable & professional services at all times. Continuous pro active marketing - Our active involvement over the years in national and international real estate conferences, exhibitions, seminars and events, including ‘A Place In The Sun’ and ‘The Luxury Property Show’, enabling us to stay one step ahead of all our competitors, and stay in tune with the wants, needs and expectations of our clients. We have the premium website & portal for property in Kefalonia, and co-operate with Right Move Overseas in the UK. We also continue to be featured in world famous publications such as Wall St Journal, Sunday Times, Financial Times, Daily Mail, Great Britain Magazine and many, many more. Prestigious company profile – We have a purpose-built luxurious head office, located in a prime position on the main harbour front of Argostoli, featuring state of the art LED window exhibitions and smart TV presentations. Vinieris Reality also has separate offices for their Property Development and Property Management companies, again based in Argostoli, the capital of Kefalonia. Airport marketing exhibition stand - Our custom-built marketing stand in the very centre of the main airport of Kefalonia, gives us the unique opportunity to make direct contact with each and every person arriving to and departing from, the island of Kefalonia by aeroplane. This stand not only allows us to offer additional exposure for people wishing to sell property, it also affords us the opportunity and advantage to attract the largest possible demographic of potential buyers. UK Company - UK based Vinieris Kefalonian Properties Ltd, a sister company of Vinieris Real Estate was formed in 2006 with the aim of further enhancing the customer-led focus of the Kefalonian real estate business, and as a UK base for those clients who find it more convenient to meet with someone closer to home. Based in Cheshire, in the very heart of England, the company is operated and managed by Paul Hitchen, who has over 30 years experience in the UK construction industry. Vinieris Kefalonian Properties Ltd serves customers of both companies, not only as a valuable link between Kefalonia and the UK, but it also acts as an additional market place for resale property and land, thus giving all our clients a unique advantage over our business competitors. Vinieris Real Estate Brochure – An exclusive in-house publication, which further enhances the company’s prestigious profile, is circulated in all the major tourist areas in Kefalonia, and also used extensively in our overall marketing strategy to potential overseas customers. Customised services and solutions - We have many years of experience dealing with the varied needs of clients in the UK and throughout the world. Whether you are looking to find your perfect home, to purchase a holiday villa, or to buy property for investment purposes, our service is focused on bringing a personal and customised approach to your property search. Wealth of experience – Founded in 2002, we have a wealth of knowledge and experience, specifically geared towards the real estate market in Kefalonia. We were the first company to recognise the need for a more cosmopolitan approach to buying and selling property in Kefalonia, and continue to be the market leader in our specialised field of business, something which we pride ourselves on. After sales Service – Vinieris Real Estate is not just about buying a home, we will be there to guide and advise you through the whole process right up to the completion date and beyond. Through one of our sister companies, Vinieris Property Management, we also provide new homeowners, existing property owners and those people wishing to build, a complete property management service based in Kefalonia. Adonis & George Vinieris, born and raised on the island of Kefalonia, founded ‘Vinieris Real Estate’ in 2002, after recognising the need for a modern, dynamic and forward thinking estate agency to serve the emerging property market of Kefalonia, following Greece’s entry into the Euro, and the opening up of the Greek market to foreign investors. Vinieris Real Estate opened their first office, located on the prestigious Harbour Front in Argostoli, and it would prove to be a successful venture in many ways. Due to the success of the company, it had soon outgrown its initial office, and the next obvious move was expand the business, and look for larger premises. In 2005 the opportunity arose to move just a few metres away from the original location, into a larger, prestigious head office, again strategically positioned directly on the Harbour Front. Despite the expansion, Adonis and George Vinieris were still able to oversee the day to day management of the company with the same drive, care and attention, born out of a passion for Kefalonia. 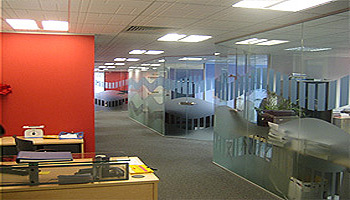 To further enhance the customer-led focus, 2006 saw the formation of a UK based sister company, Vinieris Kefalonian Properties Ltd, located in the heart of England. Not only acting as an additional market place for resale property, it also gives the company an invaluable link between Kefalonia and the UK. Vinieris Developments was founded in 2011 to cater for the growing number of clients wishing to build high quality, luxury properties in Kefalonia. Using experience gained from helping early clients to build their own properties, Vinieris Developments quickly gained a reputation for building very high end properties, with quality finishes, within a budget and timescale to suit their client’s needs. 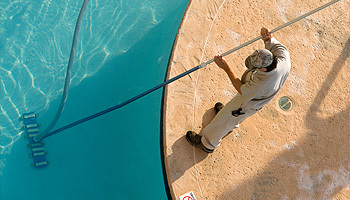 The natural step next was to offer clients of Vinieris Developments, a service to ensure their luxury properties are fully serviced and taken care of, whilst the owners themselves were not based in Kefalonia. Vinieris Property Management was formed precisely for this reason and has grown from strength to strength, offering a service which encompasses all aspects of property management and maintenance. In 2012 Vinieris Real Estate constructed and moved into their luxurious new purpose built head office in Argostoli, continuing with the prestigious location of the Harbour Front. This modern, architecturally designed property is the culmination of over a decade long company evolvement into the largest Real Estate & Development group on the island of Kefalonia. A custom built exhibition stand was opened within the main Terminal of Kefalonia Airport in 2013 and operates as an information and sales hub for everyone visiting the island. Both innovative and informative, the stand has proved to be a great success. Final touches are being made to another purpose built office, which will house the Development and Property Management side of the company, a step which will ensure the company continues to stay ahead of its competitors in every way. During the history of Vinieris, we have endeavoured to offer our clients the highest possible service levels, and have given them opportunities to showcase and to view properties in every way possible, using an array of multi media options. With this ethos at the very forefront of our business, we have continually taken exhibitor stands at the main overseas property exhibitions in the UK and more recently, in Asia, and have exclusively marketed Kefalonia as one of the top destinations and investment opportunities in Europe. We are very proud to include the following exhibitions in our list of venues: ‘A Place in the Sun Live’, The Luxury Property Show’, The Investor Show’ & ‘OPP Live Asia’.